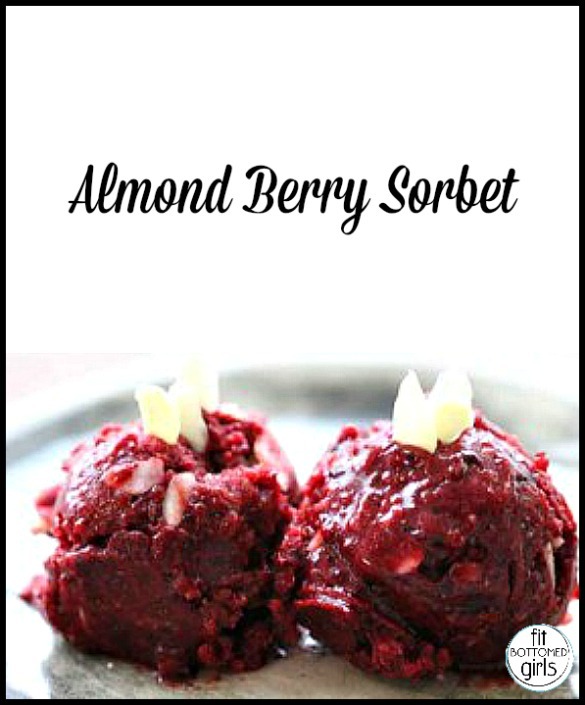 Make This Almond Berry Sorbet at Home in 20 Minutes! Now that summer has unofficially kicked off, we at FBG HQ have been craving fresh fruit and cool ice-cream treats. And you know what the perfect combination of those two eats is? SORBET. Oh lovely, refreshing sorbet, you give us you the illusion of eating ice cream with all of the nutrition of eating fruit. We heart you in every delicious bite. Sorbet is surprisingly simple to make. Just take this recipe that the lovely Pooja Mottl, natural foods chef and personal trainer of Pooja’s Way, is sharing with us. It takes 20 minutes to make, yields two cups and all you need is a strong food processor and the self control to not eat all two cups (although if you did, it certainly wouldn’t be the end of the world). So grab some organic frozen berries and let’s get our sweet treat on! 1. Measure out berries and load them in food processor. Wait 15 minutes for berries to thaw. 2. Choose manual pulse on food processor and gradually pulse until berries begin to break. Then choose automatic pulse and process until smooth—about a minute or two. Add syrup and process again. 3. Remove sorbet from food processor container and stir in almonds. Enjoy immediately! Recipe copyrighted 2011 by Pooja Mottl. This sounds like a perfect dessert for our super hot weather right now! what a perfect recipe for summer! This sorbet sounds great…is this a 1 serving recipe?